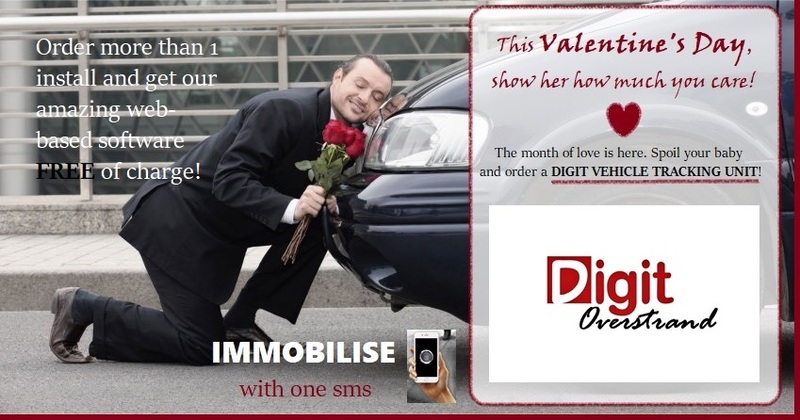 Spoil your baby and order a DIGIT VEHICLE TRACKING UNIT! The month of love is here. Spoil your baby and order a DIGIT VEHICLE TRACKING UNIT! Order more than 1 installation and get our amazing web-based software FREE of charge. Show her how her how much you care the Valentine's Day!